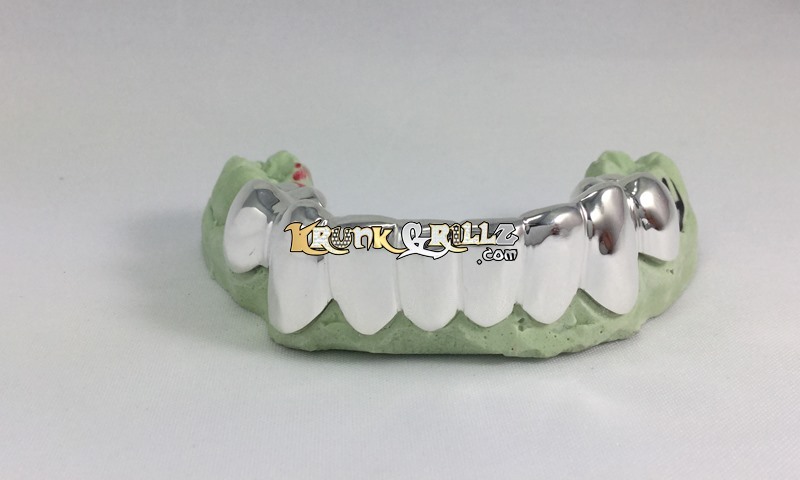 Custom made gold grill with high polished teeth. 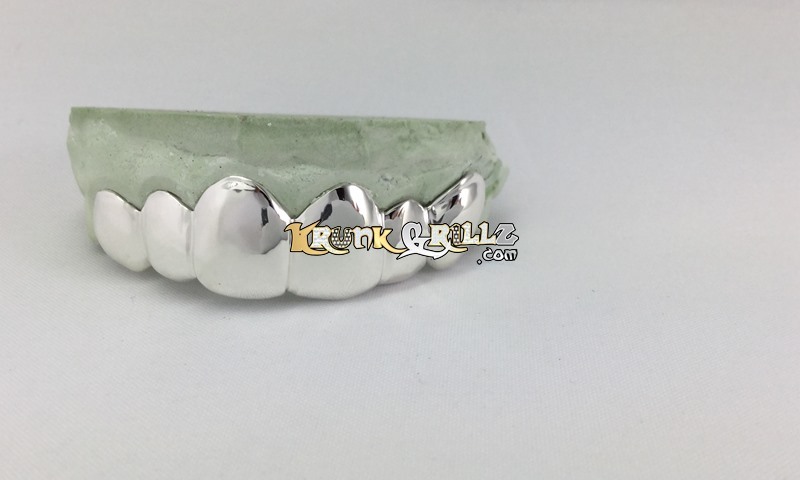 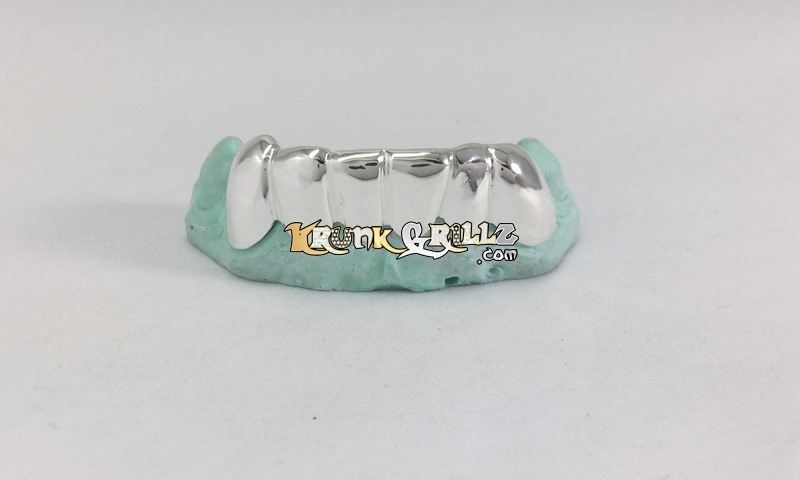 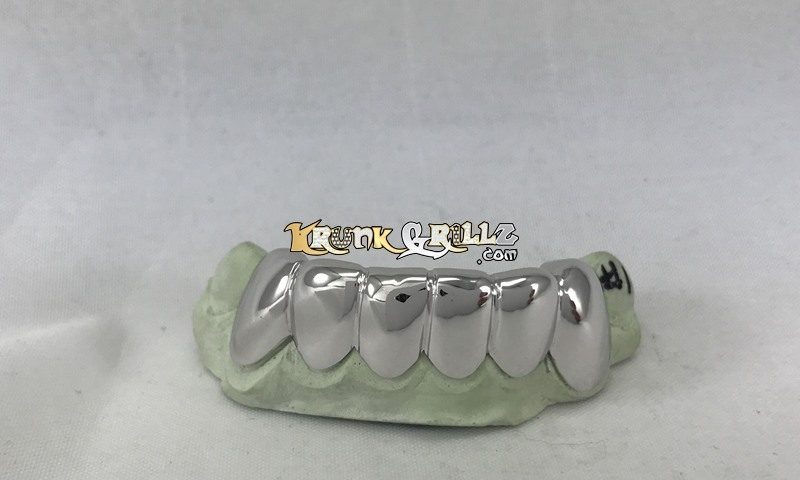 This is the original grillz shown here in white gold. 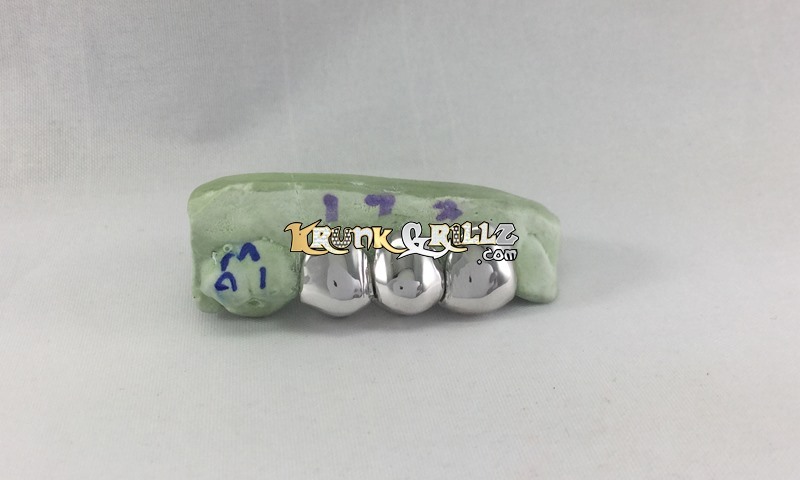 This grillz is shown in silver with the protective coating to prevent tarnishing. 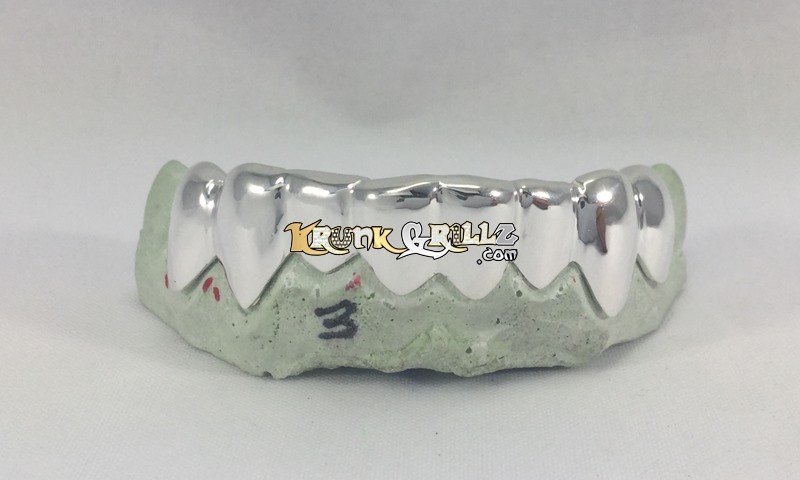 Add deep cuts for a permanent look.